Lachania (Lahania) Two plane trees, four water troughs, six tables... and undisturbed peace and quiet. Around you are the low white houses of the village with their blue doors and windows, their tile roofs and carved stone gateways. 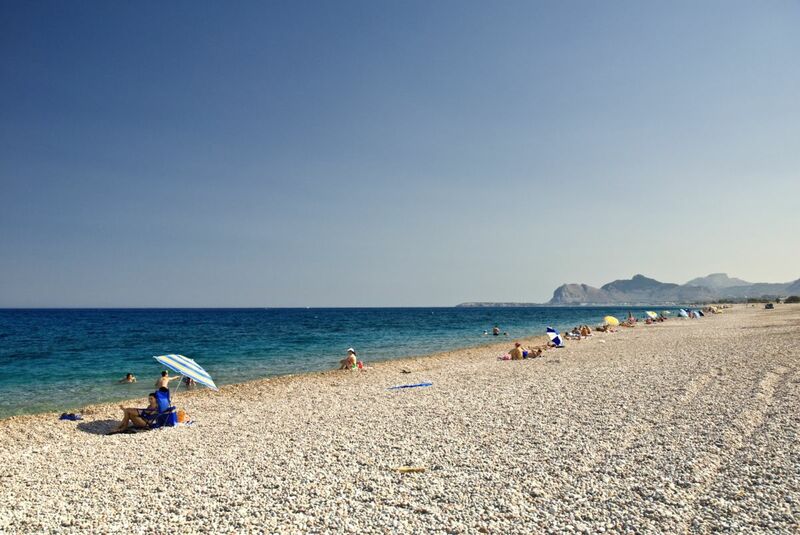 Afandou beach comprises of sand and pebbles and offers many rental facilities. Young people racing their jet-skis, locals coming for fish at the local taverns, tourists soaking in the sun on the shoreline. 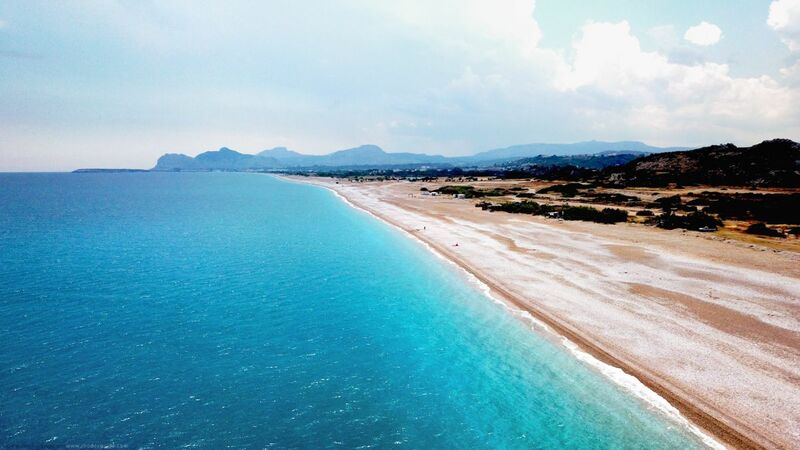 There is ample room for everybody on the huge beach at Afantou, and no one feels crowded. The water here deepens quite abruptly. Some sections of the beach are commercially organized while others are not. 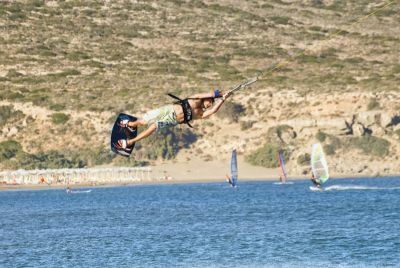 There are beach and water sport centers, a small number of small restaurants and fish taverns, of which some also offer rental rooms, and canteens just above the beach. On the coast road you will also find the Rhodes golf course. The waters here are of excellent quality, although as already mentioned, deep. The advantage here is that the waters also also very fresh, even in the hight of summer. 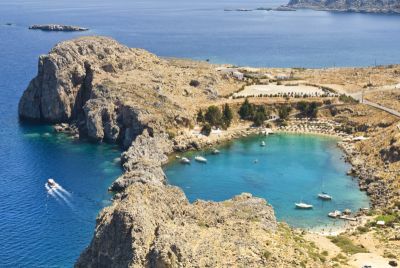 Looking for a hotel in Afandou (Afantou) or Rhodes? 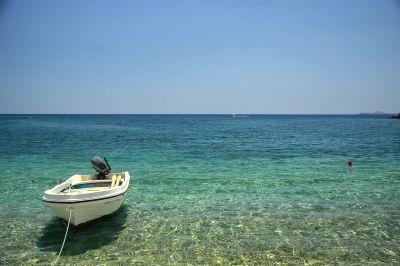 Check the following deals and special offers for hotels in Afandou (Afantou) and Rhodes! Stay just outside afandou in the sevilla aparts,great place nice and quiet.. they have a little train laid on to take you into afandou, they call it the whalley trolley. it takes about 15 mins but its nice little ride. recommend the 4seasons restaurant, the food is brill. At St. Paulis bay, you will find sand and pebbles, with rocks from which to dive into the crystal water. You will have to leave the car well before you reach the beach, and then you have to walk. 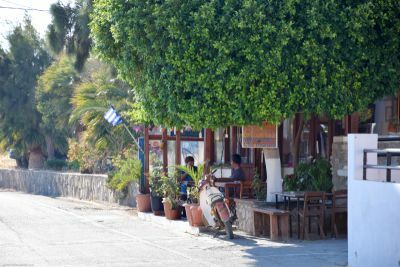 You can also come here from Lindos on foot.